Adding yet another stunner to its diverse portfolio, Audi, the German luxury car manufacturer, today announced the introduction of the Audi S5 Sportback in India. Efficient, sporty and powerful, the Audi S5 Sportback is a truly stunning car set to pump up the adrenaline of the luxury car enthusiasts. The five-door coupe is the first and only sportback in its segment and is powered by a highly efficient, supercharged 3.0-litre TFSI quattro® engine with an output of 333 hp (245 kW). 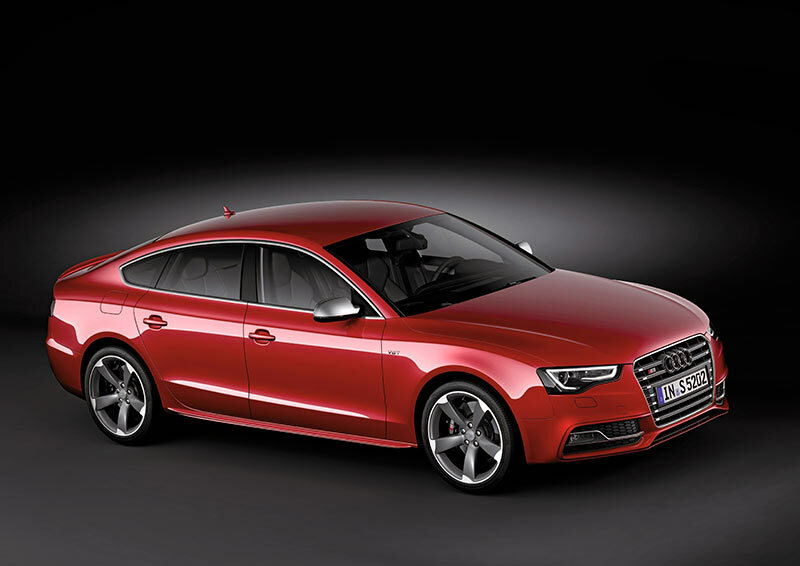 The Audi S5 Sportback is priced at INR 62,95,000 ex-showroom Mumbai/Delhi. The supercharged 3.0 TFSI quattro engine with 333 hp (245 kW) gives the Audi S5 Sportback the edge on the road making it ‘a thrill to drive’ machine. The powerful and compact V6 TFSI engine generates a torque of 440 Nm and delivers an intense driving experience. The highly successful S tronic dual-clutch transmission allows the Audi S5 Sportback to sprint from 0 to 100 km/h in 5.1 seconds and reach an electronically governed top speed of 250 km/h. 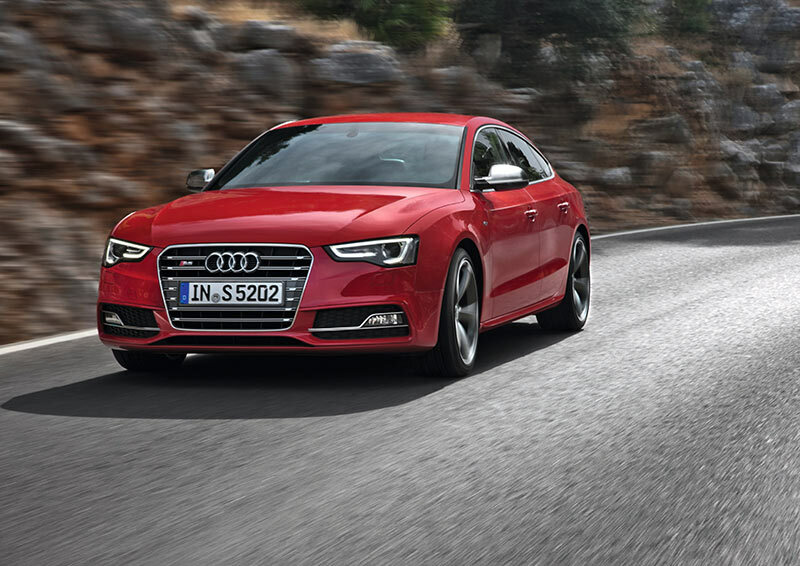 The Audi S5 Sportback is packed with advanced infotainment systems. At the very top is the Bang & Olufsen Sound System, which comes as a standard. The MMI® Navigation Plus with a 17.78 centimeter color monitor has 3D navigation mapping enabled. Designed to offer greater sound quality, the ten-channel amplifier of the Bang & Olufsen Sound System delivers 505 watts of powerful sound via 14 high-performance speakers concealed behind aluminum-inlay covers. In conjunction with MMI® navigation plus, the system can play back DVDs in 5.1 Surround Sound. 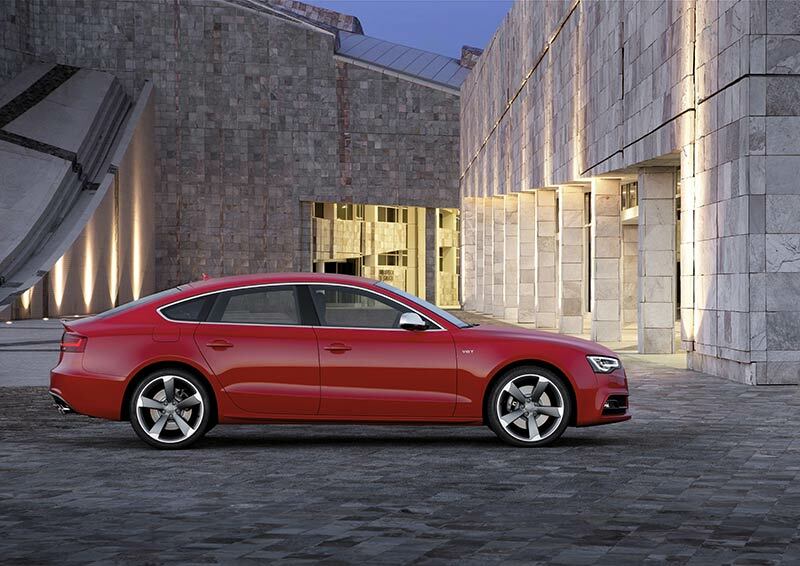 The Audi S5 Sportback combines power with style. The car’s spectacular visual details like the radiator grille’s platinum grey insert with horizontal chrome struts lend it a sporty character. The honeycomb grille in the air inlets with dual chrome trim and angular fog lights, the exterior mirror housings in aluminum look, and the sill moldings painted in the same color as the body enhances the car’s sporty character. The single-frame grille bearing a subtle S5 badge and V6 T badging on the front fenders perfectly complements the visual appeal of this charmer. The matt brushed inlays add sportiness and sophistication to the cabin. The leather-covered multifunction flat bottomed sport steering wheel in three-spoke design with shift paddles in aluminium look conveys an authentic racing feel. Draped in Alcantara upholstery, the optional S sport seats in the front with S5 embossing and electric seat adjustment offer excellent support. Inlays in matt brushed aluminium, underline the sporty character of the Audi S5 Sportback. Audi Drive Select available on the Audi S5 Sportback regulates the power steering, engine management, automatic transmission and automatic air conditioning system. The driver can choose the mode in which these systems operate: Comfort, Auto, Dynamic, Efficiency and Individual. ￼Audi Parking System Plus with rear-view camera provides visual and acoustic assistance when parking and manoeuvring. The system gives the driver an acoustic warning of any obstacles and displays them on the central MMI®. The Audi S5 Sportsback has best in class safety features with eight airbags, two of which are dedicated rear-side airbags. The rear centre armrest also comes equipped with a first-aid storage kit. The anti-theft wheel bolts with a rotation ring and code key provide utmost security to the vehicle.